The Mizo-no-Kamui tourism area abounds with natural resources, making it a treasure trove of culinary ingredients, from sea, agricultural and dairy products to wild game. 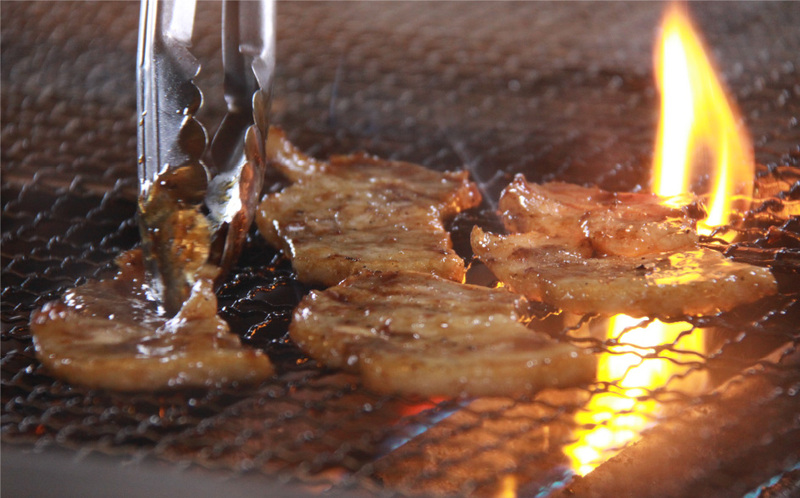 The area is home to a variety of unique menus featuring cuisine that can only be experienced here, enjoyed in a special local way. Relax and savor the graces of the surrounding waters and mountains through incredible local gourmet treats. 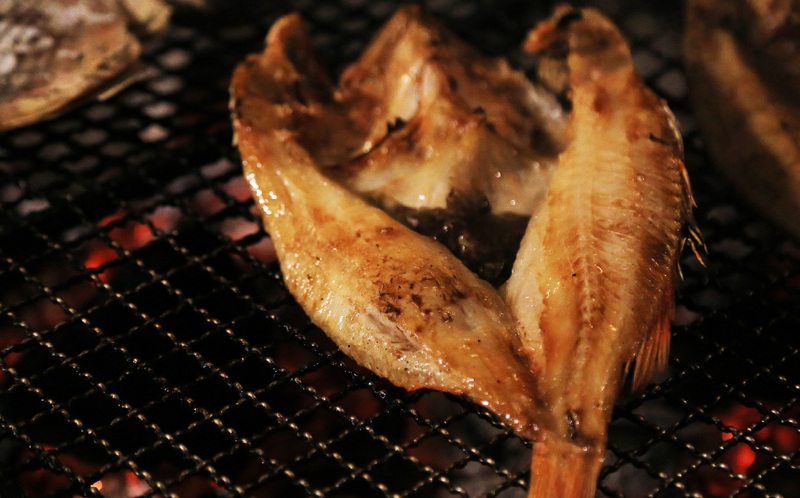 Surround a traditional sunken hearth and enjoy fresh seafood grilled right before your eyes! 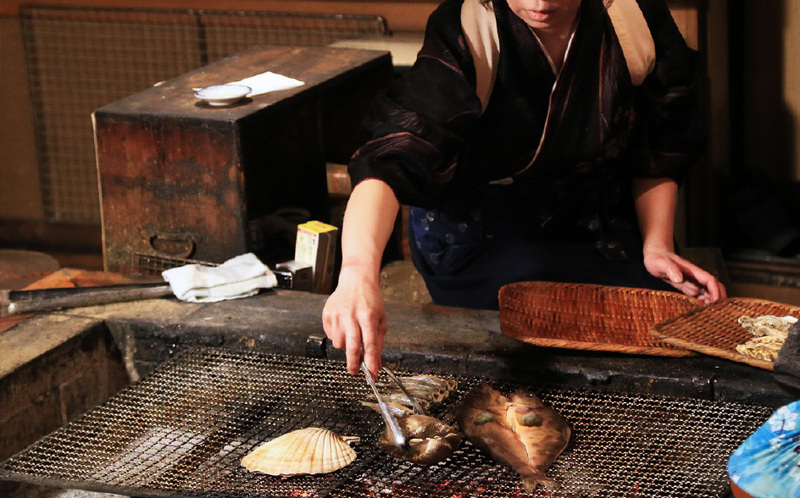 Kushiro is the birthplace of seafood served robata style, and throughout the city you will find stores where you can sit around an old-fashioned sunken hearth that delight visitors with rich aromas and flavors. Conversation made with the locals sitting around you as you dine on perfectly grilled local seafood is certain to become a fond memory of your travels. 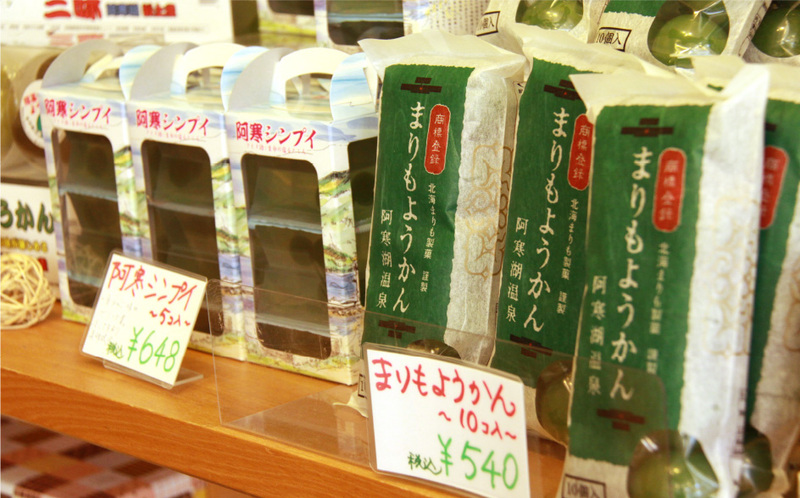 Enjoy some local sake painstakingly crafed from Hokkaido rice. Hokkaido is Japan's largest producer of potatoes. 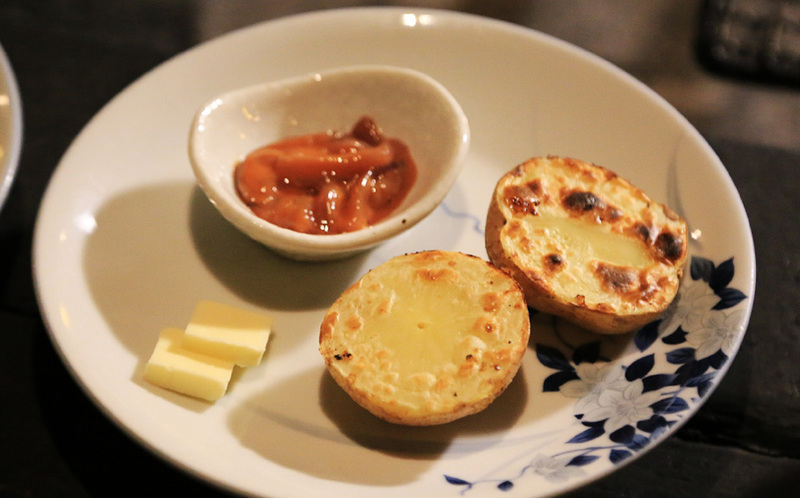 Enjoy fresh-baked potato served with salted fish and batter. There's no way to describe the incredible flavor. 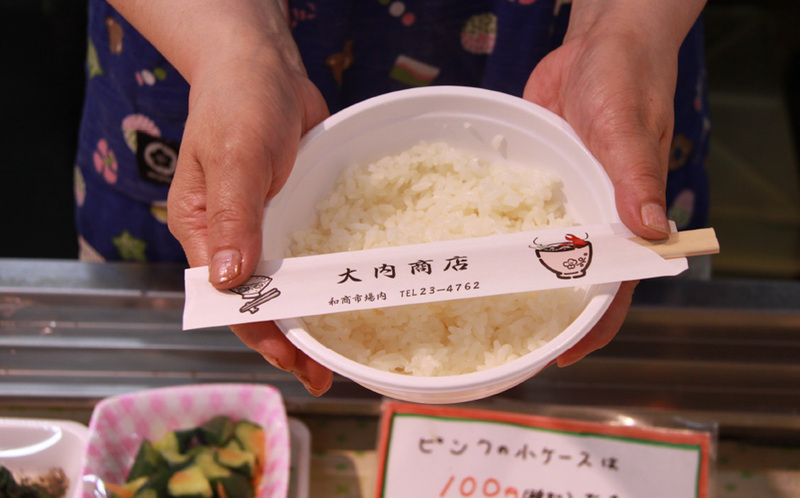 Katte-don is one of Kushiro's premier culinary experiences. 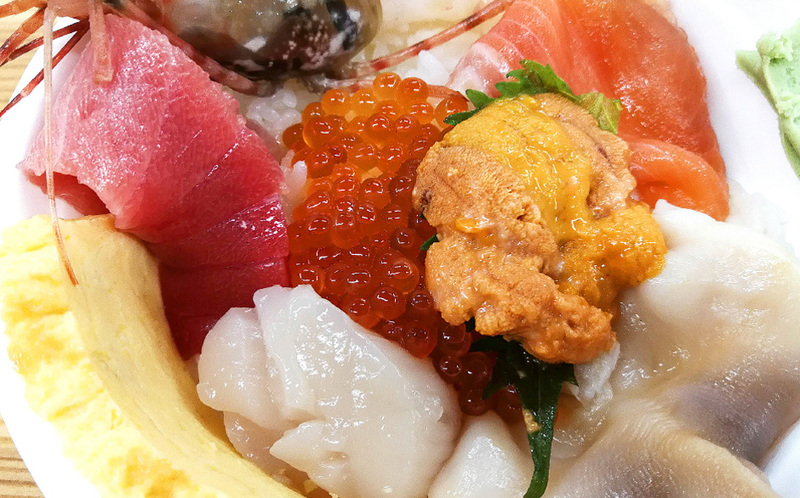 This popular dish served at Washo Ichiba allows you to choose sashimi "however you like", which is where it gets its name, "katte". 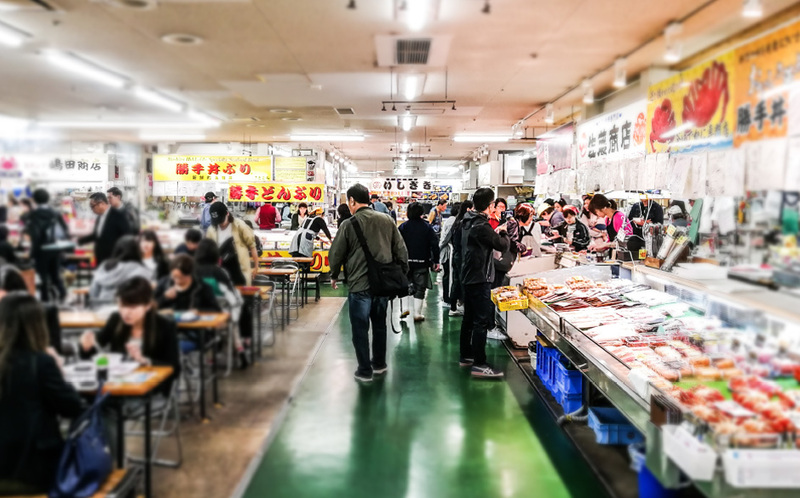 First, buy the amount of rice you want from a store in the market, then head over to a shop where rows of sashimi are waiting to be selected for your katte-don. 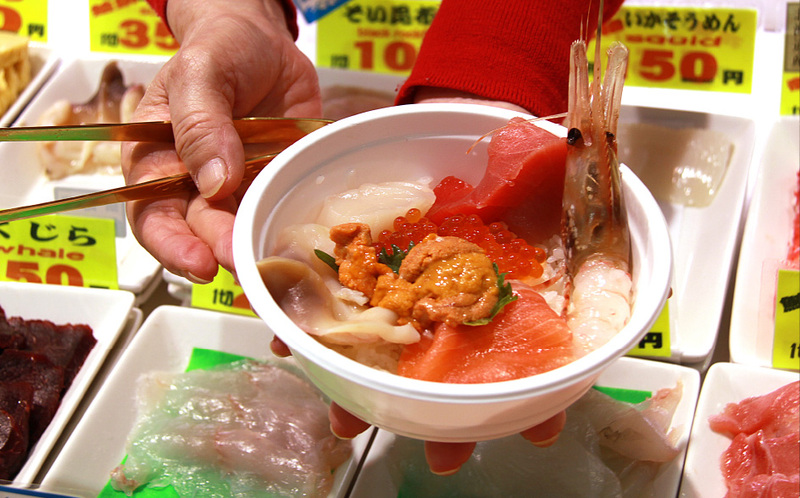 Select whichever sashimi you prefer and the clerk will place it on your rice for you. 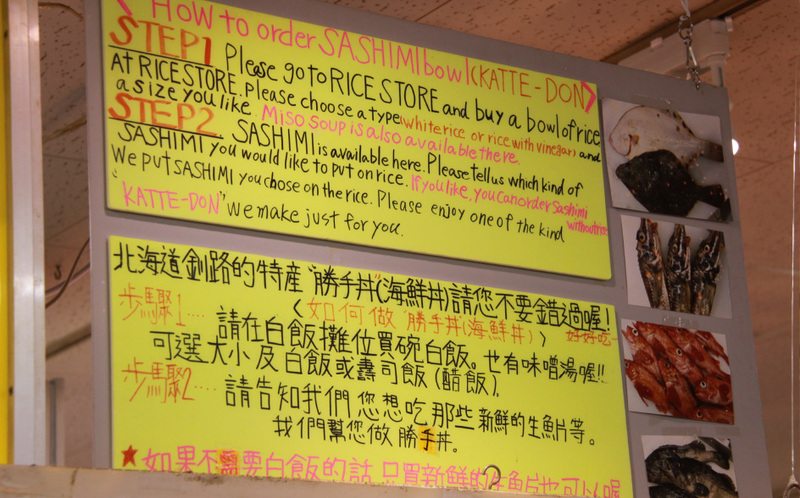 Pay your bill at each place you visit, covering your rice with sashimi until no space is left uncovered, then finish your creation off with some soy sauce and wasabi. 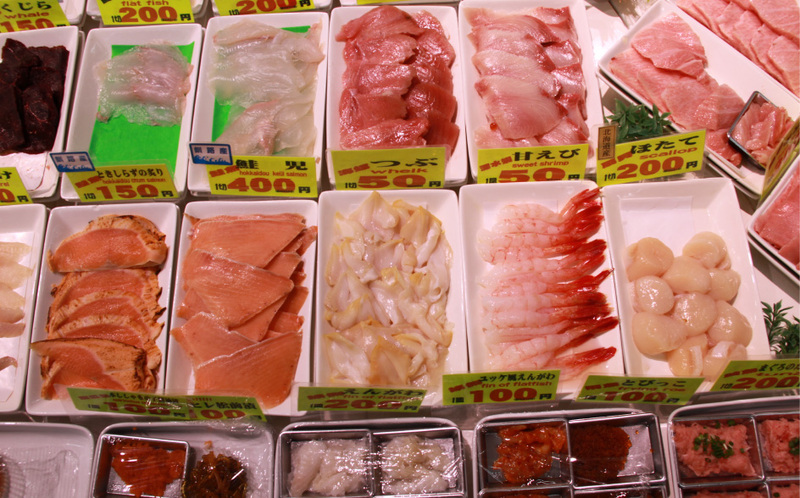 Besides katte-don, you will also find grilled fish meal sets, nigiri sushi and ramen at the market. Hours: Jan. to Mar. (Mon. to Sat.) 8:00 AM to 5:00 PM *closed Sun. Long ago, many salmon finished their journey up Kushiro River in Teshikaga. 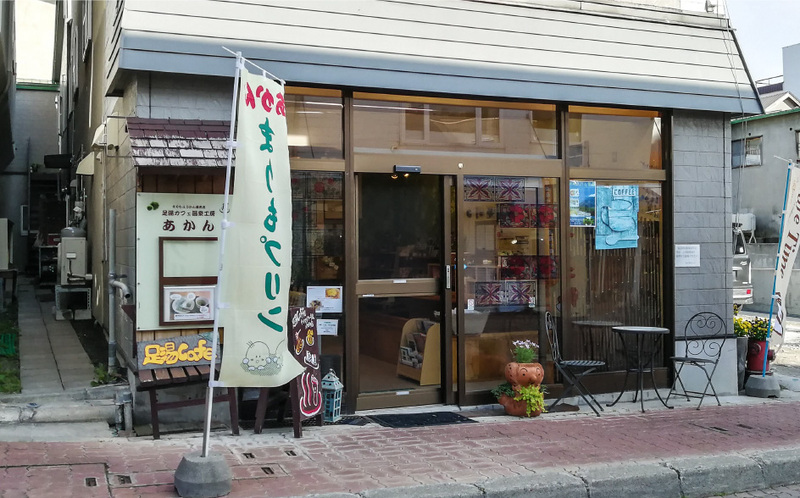 The Ainu people called this area where salmon were cured "kuma ushi", and this is where this shop, which serves mill-ground Mashu buckwheat flour soba noodles, gets its name. 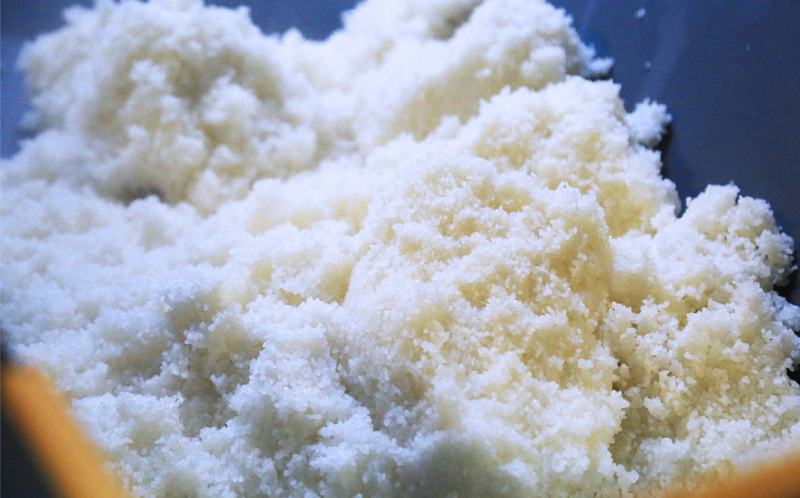 Mashu buckwheat flour is so rare that some have called it a mirage. 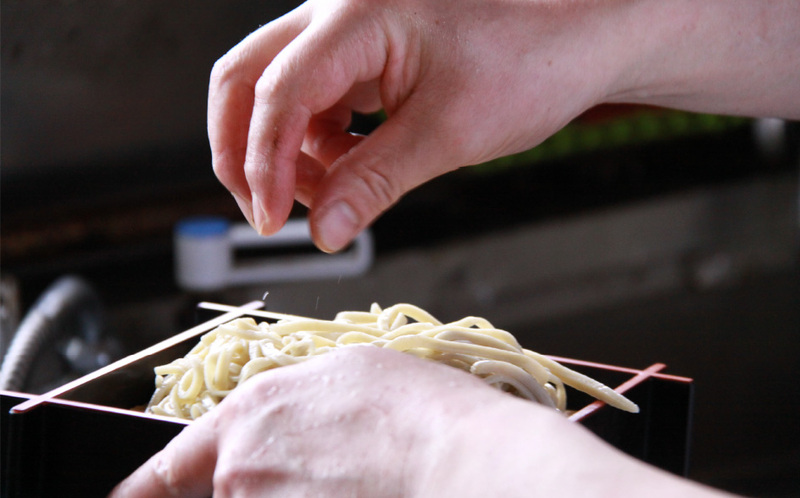 This soba is made by hand in the early morning to ensure you enjoy the freshest of soba. Vegetables used here are only those collected in the surrounding local area. 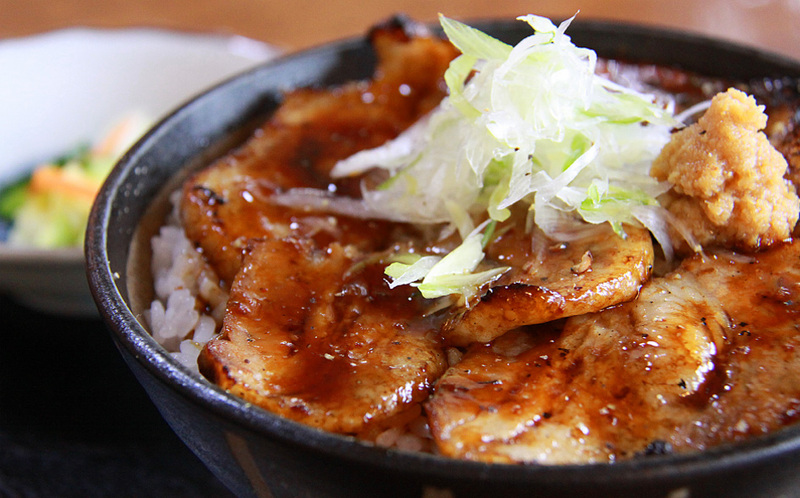 The delicious buta-don, pork over rice, is made with Lake Akan pork, and the aroma as it is grilled is sure to whet your appetite. 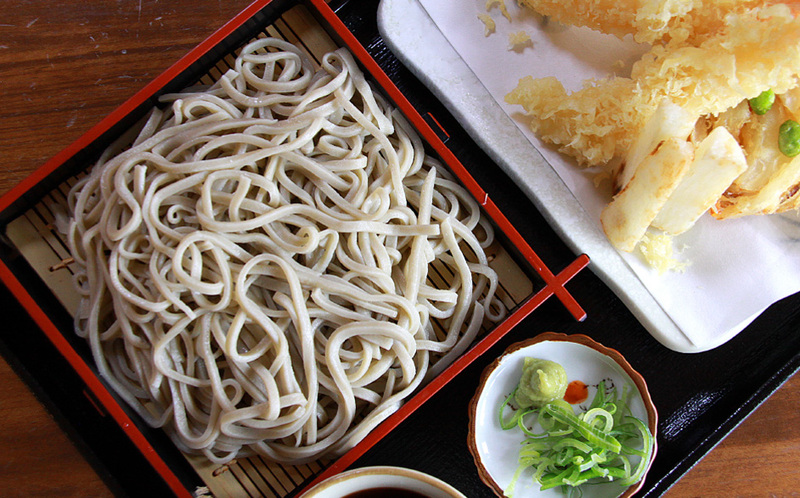 It's also been quite trendy to leave out the soba and enjoy a soup with only the other ingredients. Hours: 11:00 AM to 20:30 PM　Closed: Tues.
During the Taisho period (1912-1926), uchida crayfish (zari) harvested for food migrated from America. These crayfish are collected at Lake Akan, and became a famous product of the area known as "Lake Lobster". 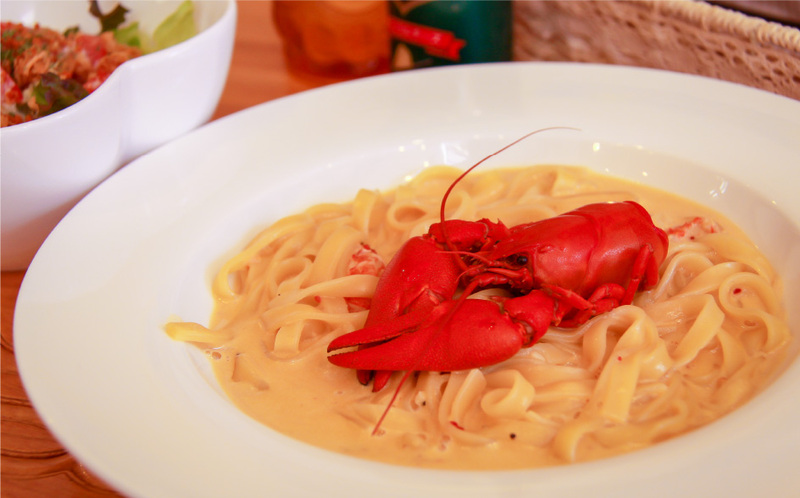 At this establishment, lake lobster is served on a bed of flat noodles in a rich sauce as crayfish carbonara. 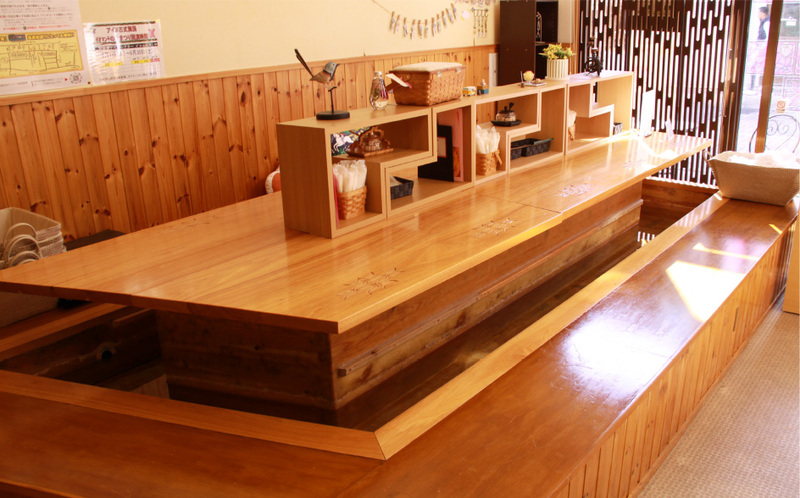 You can also enjoy your meal as you soak your feet in the footbath inside the shop. 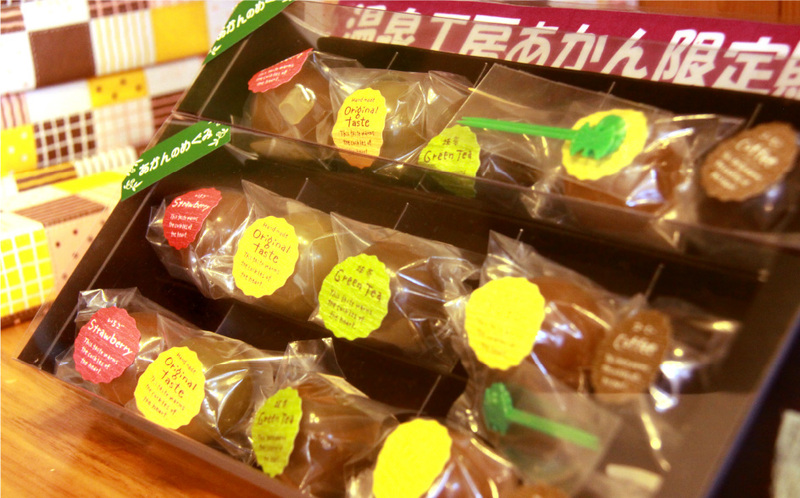 The store also sells the famous Marimo Yohkan, a sweet bean desert shaped like marimo (algae balls). 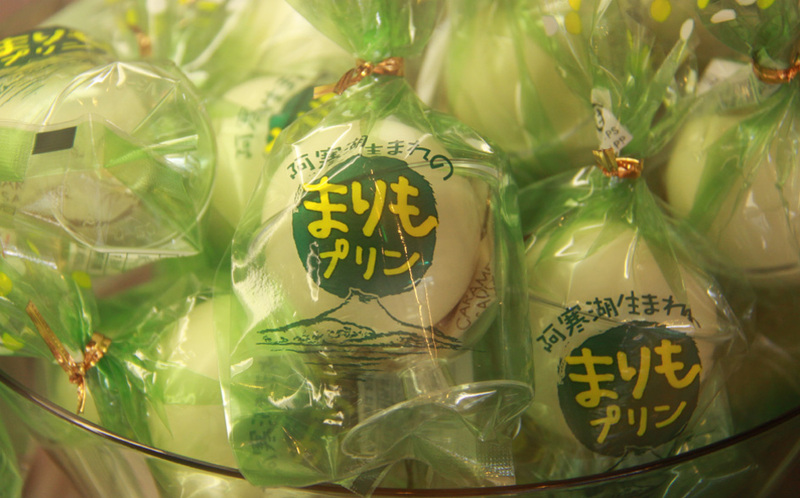 The store is directly managed by Hokkaido Marimoseika, so it features some products that you won't find anywhere else. Other dishes served are hometown favorites, such as spaghetti with venison meat sauce, local vegetables and Akan pork. 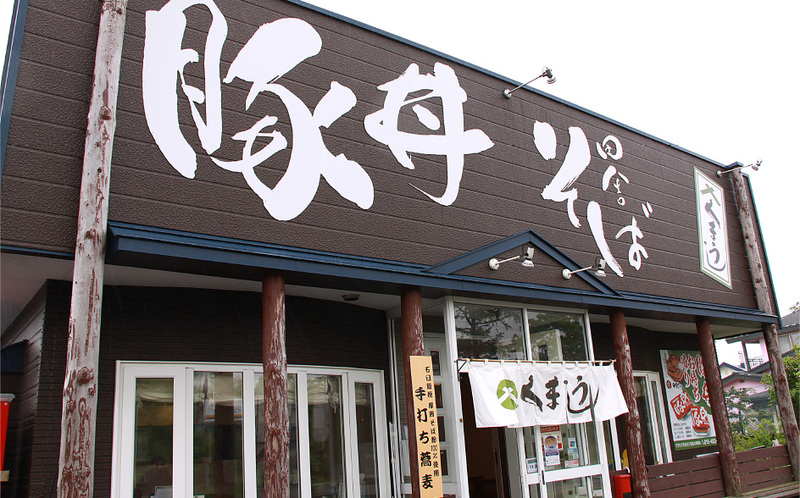 Established in Taisho 8 (1919), this brewery has thrived in Kushiro for almost 100 years. 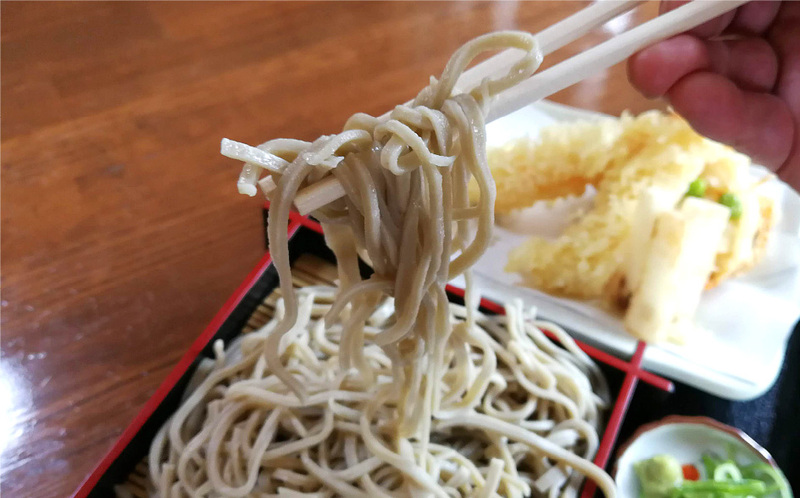 Fukutsukawa takes its name from traditional Japanese tidings of good fortune: ""Fuku wo tsukasadoru, fuku wo maneku"", meaning ""one who brings happiness invites it"", so the sake is filled with tidings of good fortune. 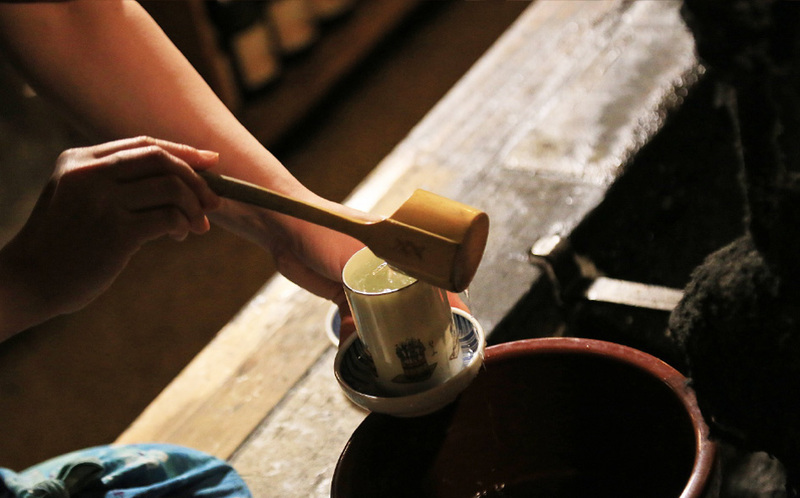 Sake is a traditional liquor brewed with the traditional food of the Japanese people, rice. 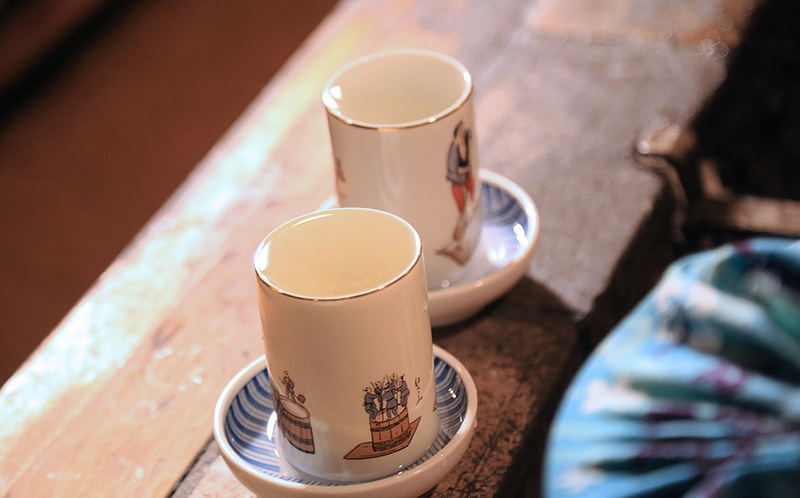 At Fukutsukawa, culture has been handed down through posterity through sake, carefully crafting the ""Sake of Hokkaido"", which pairs beautifully with local cuisine. Musoda (720ml) is a fruity ginjo sake. 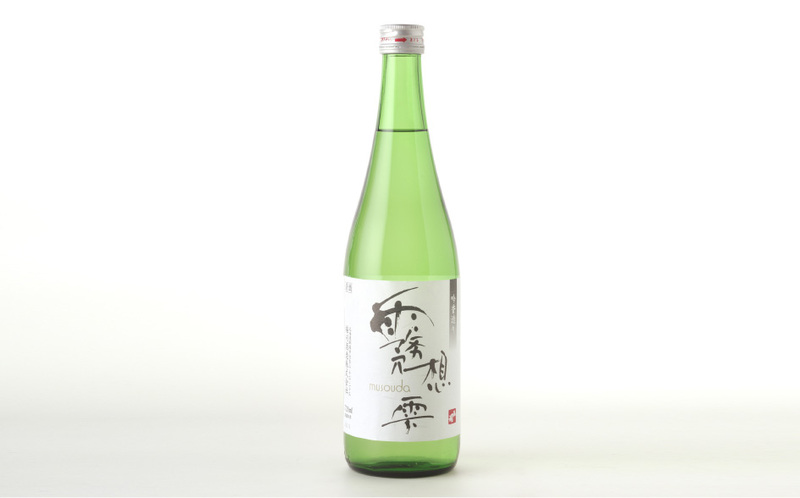 This sake is best enjoyed in a wine glass so you can fully enjoy its beautiful aroma. 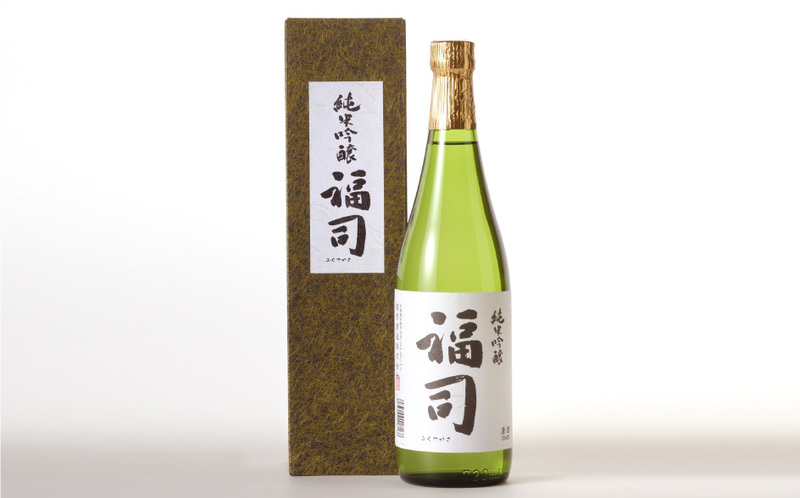 This high-class junmai ginjo sake (720ml) is made with Kitashizuku (""drop of the north"") rice for a refreshing flavor. 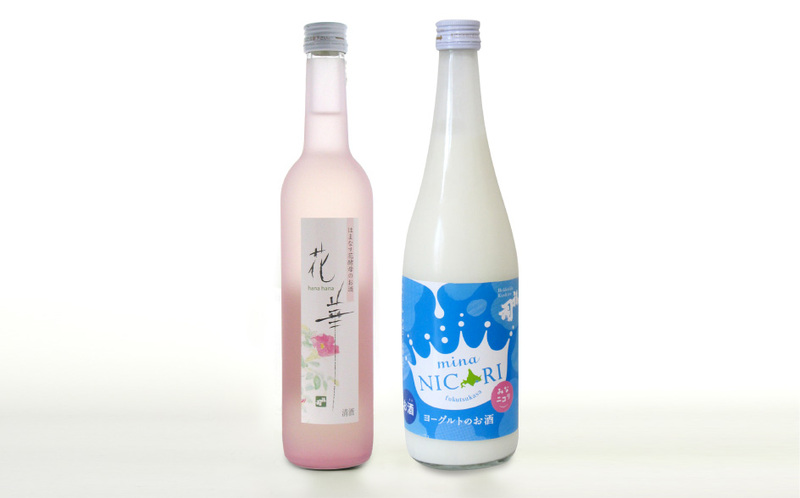 Enjoy Mina Nicori (720ml), sake made from Hokkaido yogurt or Hanahana (500ml), fermented with Hokkaido's representative flower, the beach rose, and clear Hokkaido waters.